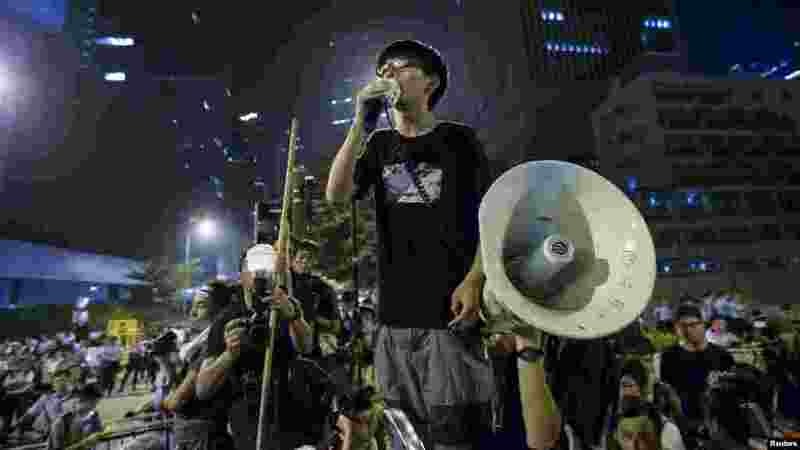 1 Joshua Wong, leader of the student movement, delivers a speech, outside the offices of Hong Kong's Chief Executive Leung Chun-ying in Hong Kong. 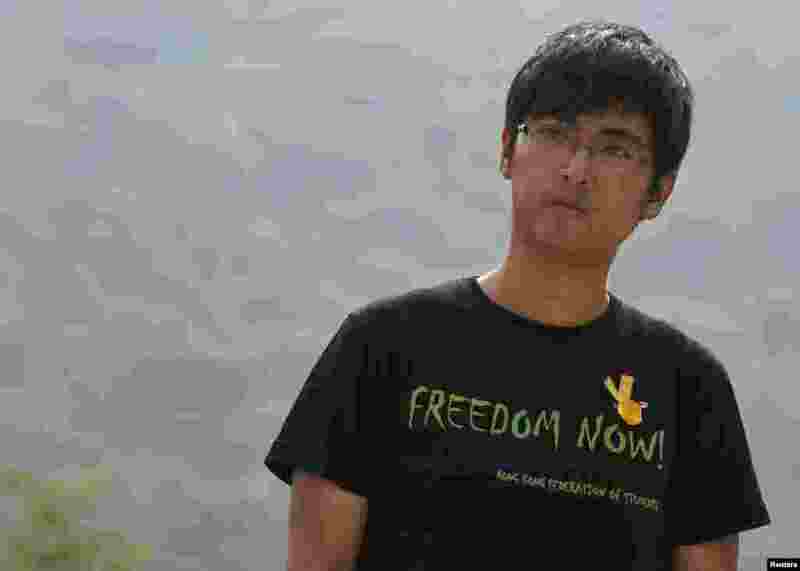 3 Alex Chow, secretary-general of the Hong Kong Federation of Students, attends a rally at the Chinese University in Hong Kong. 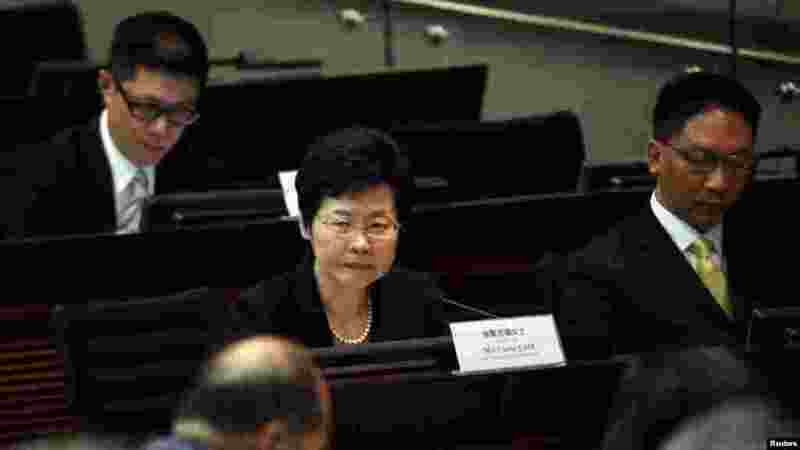 4 FILE - Hong Kong Chief Secretary Carrie Lam looks on during a meeting on proposing electoral reforms at the Legislative Council in Hong Kong. 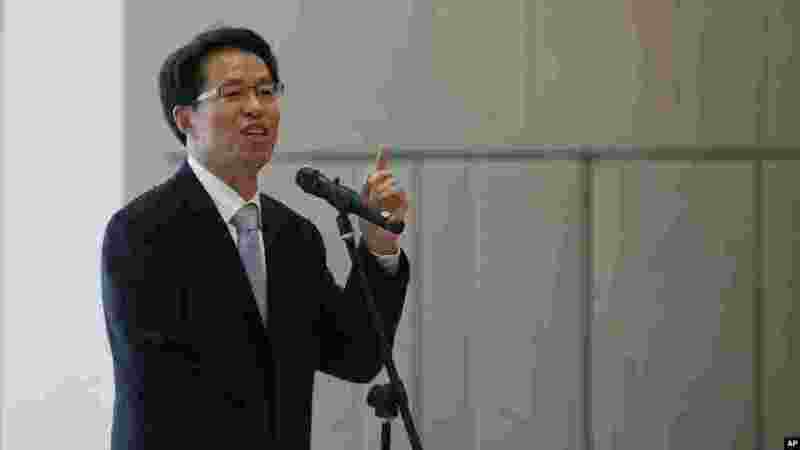 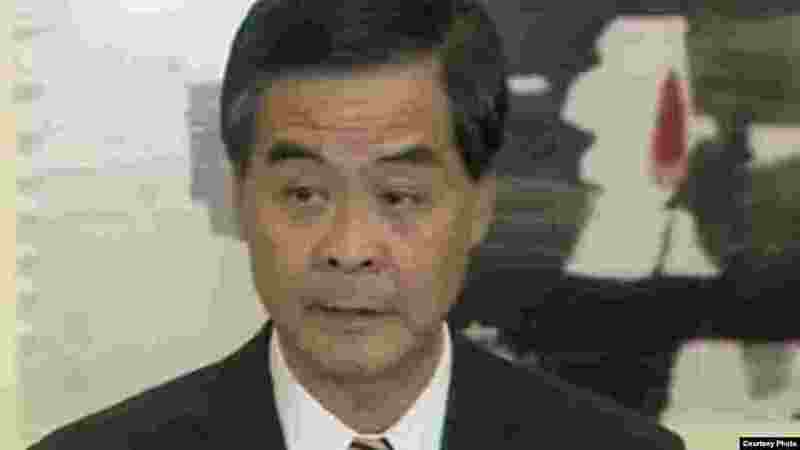 5 FILE - Beijing's top representative in Hong Kong, Zhang Xiaoming. 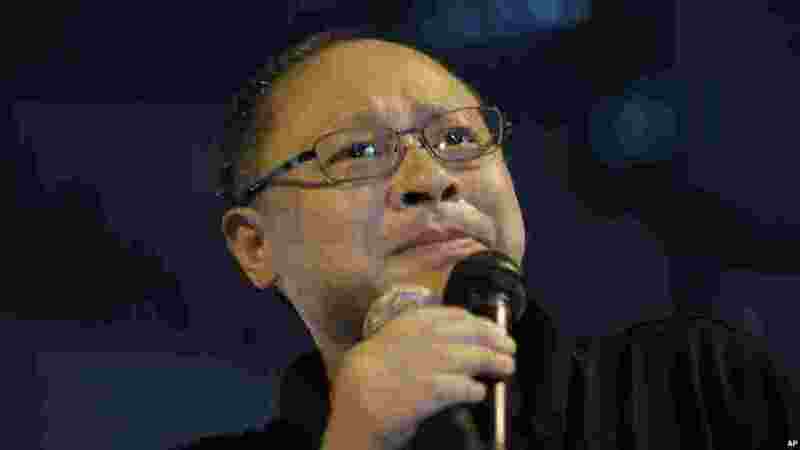 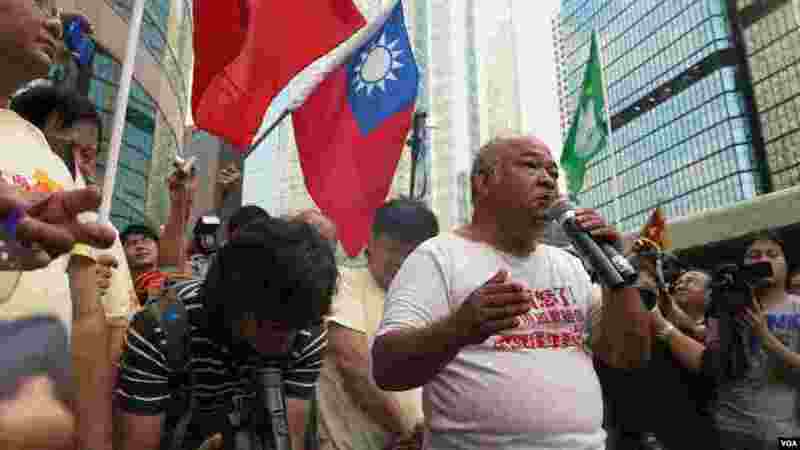 7 FILE - Founder of the Occupy Central civil disobedience movement Benny Tai cries during a rally outside government headquarters after protesters were threatened by residents and pro-Beijing supporters in Kowloon's crowded Mong Kok district. 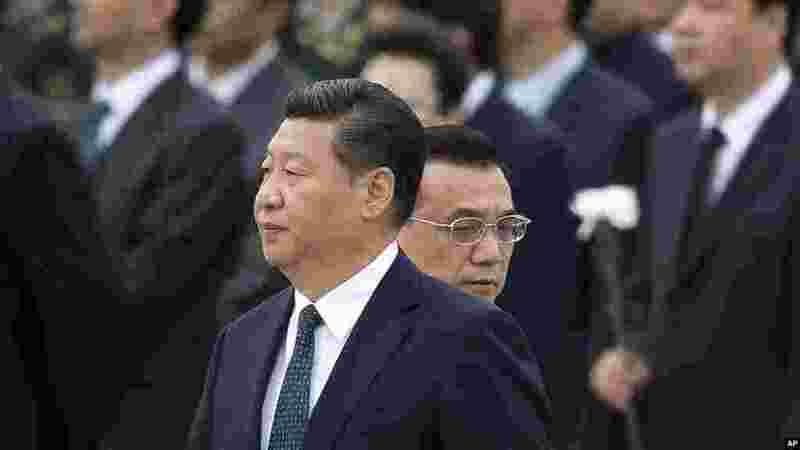 8 FILE - Chinese Premier Li Keqiang, right, walks past Chinese President Xi Jinping as they arrive to the Monument to the People's Heroes during a ceremony marking Martyr’s Day at Tiananmen Square in Beijing, China, Sept. 30, 2014.